Contra Costa County Sheriff's Office detectives seized about 600 marijuana plants while serving a search warrant Wednesday in Discovery Bay. Detectives searched a home on the 2000 block of Wayfarer Court. The search follows an investigation into a marijuana growing operation at the residence, officials said. 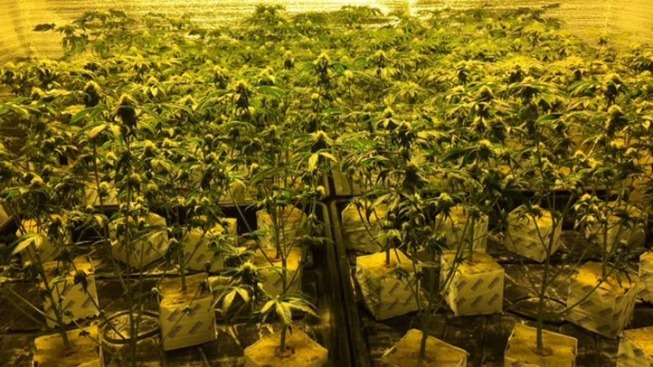 The marijuana plants seized are worth an estimated $450,000. No one was home at the residence during the search and an investigation is ongoing. Anyone with any information on the case is asked to contact the Investigation Division at 925-313-2600 or call the anonymous tip lines at 925-313-1166 or 866-846-3592. Tips can also be emailed to: tips@so.cccounty.us.